“Faith may swim where reason and understanding may only wade” is one of the oft-repeated and memorable notes sounded in this very early series (at one place he says that 1963 “ , , , was four years ago”). It is also one of the most popular - and a very important series. 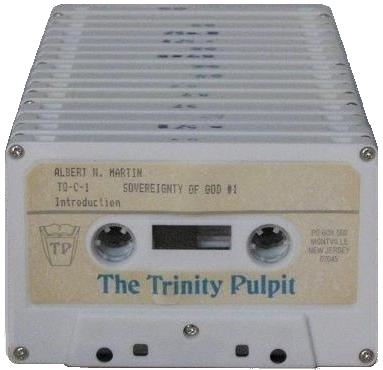 Pastor Martin sets out Scriptural perspectives and practical applications on the sovereignty of God in the realms of creation, providence and grace — calling this “the very backbone of divine revelation.” These messages were freshly digitized from donated original Trinity Pulpit tapes in October of 2016. Click here for information about the hitherto missing message No. 8, and the restoration of the opening and closing prayers.